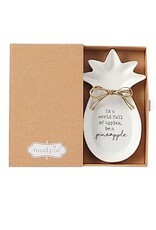 Pineapple Ceramic Trinket Tray with Sentiment. Size 5.5x3.25 inches. 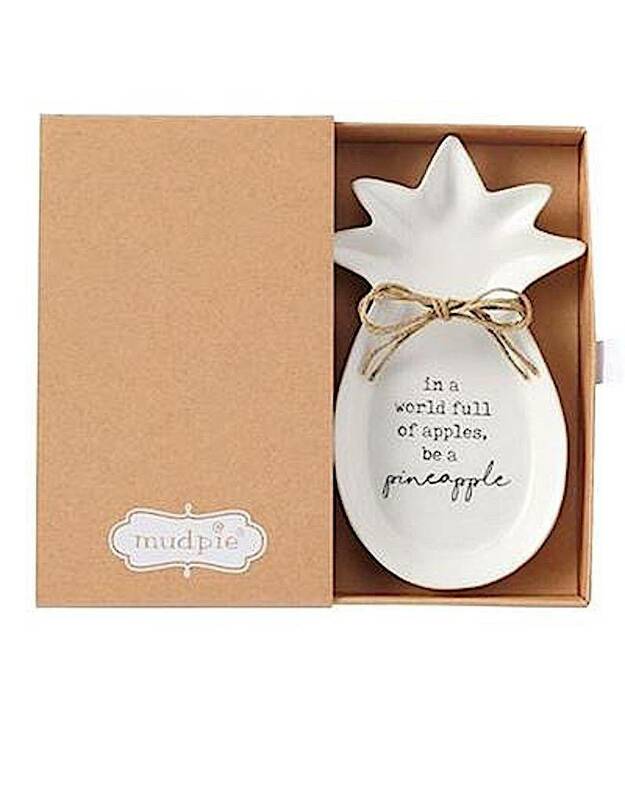 Ceramic pineapple shaped trinket dish features printed sentiment surface, hand-painted accent rim and arrives in match-box style kraft box. Pineapple Themed Everyday All Occassion Gift Collections. Mud Pie Gifts Serve-ware tabletop and home decor for everyday, birthdays, seasonal and holiday gift giving and entertaining. Found Available and in stock now at the interior Digs N Gifts Store Online or In store for local pick up.